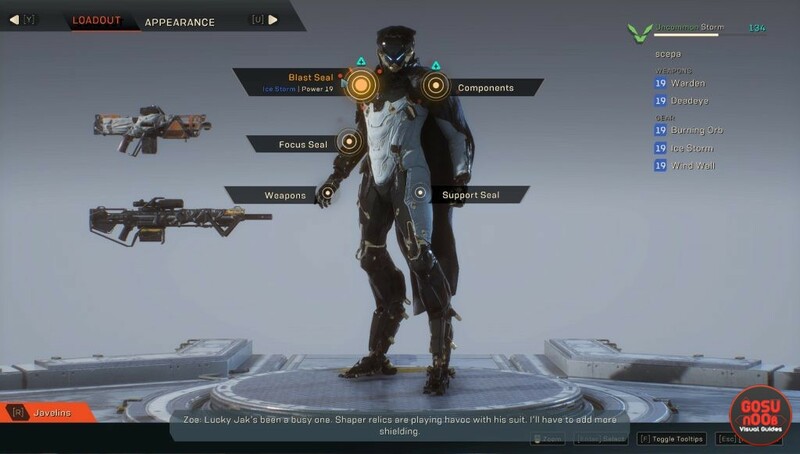 Anthem allows you to customize your character thoroughly, both functionally and cosmetically. The option to change how your character looks and behaves are present, but not obvious enough – a number of players seem to be having trouble figuring out how to pick different weapons, skills and classes. 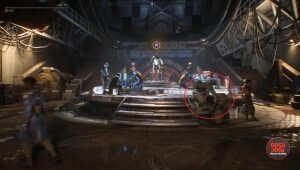 That’s why we’ve decided to write this guide, to show you how to change weapons, abilities & javelins in Anthem. How to change skills & weapons? In order to change your loadout, you’ll need to be at Fort Tarsis. Go to the javelin platform, the one where you start expeditions. Before you climb up, you should see a white console on the right, next to where Zoe is standing. Interact with the console and you’ll access the forge. Once you access it, you’ll see a picture of your current javelin. The marked points will represent your weapons, gear and components. Simply click on any of them to access a screen that will allow you to switch them. Components affect passive stats, gear determines abilities, and weapons are… well, weapons. As you progress through the game, you’ll discover every javelin has its uses. You might want to change javelins to fit the needs of specific expeditions. This can be done by interacting with the forge and pressing the button mentioned in the lower left corner (R on PC). Once you’re in the javelin screen, choose a class, then select a loadout. You can either use the default one, or save a specific build you’ve discovered and grown to love, so you can quickly access it later. If you’re having trouble putting together a nice build, we have a rather hefty guide on Anthem skills and combos for all four classes – it should help you make up your mind and find the right combination.